Barbosa Adopt-A-Player Fund | The 3&2 Baseball Club of Johnson County, Inc. The Gary Barbosa Memorial Player Fund has been set up to honor the late Gary Barbosa and his love and dedication to youth sports, especially baseball. Gary raised and coached his three sons through all levels of play at 3&2 spanning close to 15 years. He achieved great success with his teams and enjoyed nothing more than spending evenings and weekends out at the ballpark. His family has setup this fund so that any youth ball player wanting to play, but doesn’t have the financial means to do so, can utilize this fund for fees or equipment. It is 3&2's goal that every child that wants to play baseball have the opportunity to play in our program. Playing baseball can be a real challenge for families struggling to make ends meet. Baseball can be expensive. In addition to league fees, most teams require additional money to pay for practice field rental, team equipment, and uniforms at a minimum. 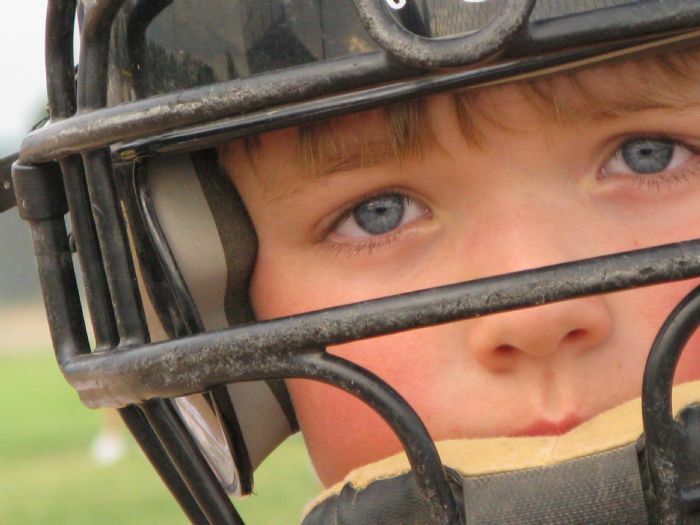 Add those costs to the price of a new or even used mitt, a helmet, a bat, cleats, etc...the costs alone oftentimes prevent kids from playing ball at all. Families just don't think they can afford it. Don't let these costs be a barrier for a child in this community wanting to play ball. 3&2 continues to do everything it can to help these families with fee assistance, donating equipment, providing uniforms for all teams Pre-K - 2nd Grade, but it's not enough, and we need your help. 3&2 is a 501(c)(3) non-profit organization that receives no public funding. Revenues gained throughout the season from registration fees, concessions, camps, and gate all go directly back in to the program. Please consider adopting a player this season and maybe every season by donating to the Gary Barbosa Adopt-A-Player Fund. Donated funds go directly to a specific family applying for help to assist in off-setting league fees or in appropriate cases helping with player or team equipment. Please adopt a ball player this season and help 3&2 help a worthy family in need. If you played ball at 3&2 or elsewhere and have great memories of your own childhood growing up playing ball, don't let the game's cost prevent a kid like you once were from playing ball and receiving the great life lessons the game teaches along with the memories that last a lifetime. A player you adopt today could be a player supporting a future baseball family which ultimately perpetuates the game we all love. What amount should I donate? Review the general donation guidelines to get started. A donation towards a player fee gives the ball player and their family an entire spring and summer of league baseball at 3&2--typically, 14-18 games with a team. $25-$50 10-30% of a player fee and/or purchase a single piece of equipment. $125-$150 60-80% of a player fee and/or purchase 2-3 pieces of equipment. $175-$225 80-100% of a player fee and/or fully equip a player to play for the summer. $225+ 100% of a player fee for one or more families depending on donation amount. Contributes the balance of the player fee themselves, usually 50-75% of the registration fee. Qualifies for reduced lunch program at their school. Shows demonstrative need of help. No family member belongs to an exclusive baseball club or academy team. You will receive confirmation that your donation was received. You will receive a thank you letter from 3&2 Baseball, a 501(c)(3) non-profit organization, acknowledging your donation. We will notify the family you have adopted and let them know they have received the support they need to play ball this season. The following testimonials have been captured from actual families in need in the Johnson County 3&2 Baseball program. They've shared here to give you, as a potential donor of the program, an idea of the type of situations families are encountering today right here in Johnson County and the very real needs/relief you might be able to offer by your donation. For the few that we've captured below, there are more than a 100 similar stories we don't have room to share. Please help 3&2 help these families. Thank you in advance on behalf of the hundreds of families in need of your help for your thoughtful consideration.